What's your tax cut going to be with Obama? Calculate it here at obamataxcut.com. 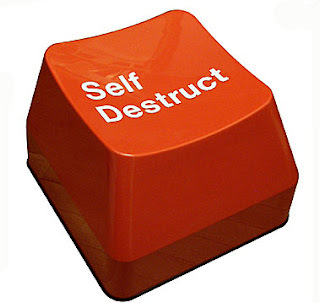 This message will self destruct. Literally. Ever get the feeling that big brother is always watching you? Want to send an anonymous message to someone? Want to send a secure message that you can be guaranteed will be deleted in, say 45 seconds after they read it? DestructingMessage.com is a free service which enables you to send a self-destructing message to someone. This means, once they read the message they will no longer be able to read it again after the timer has reached zero. This ensures your message is read by no one but the reader and all evidence of the message is erased. Messages are also anonymous unless you add any identifiable information to your message.